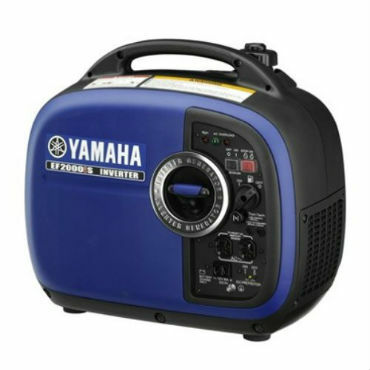 It is hard to mention the different types of generators in the market today without mentioning Yamaha. In fact, Yamaha inverter generators are highly regarded for good reasons. The big ones are super powerful and efficient, while the smaller sized are very efficient for the minor power requirements in your house. 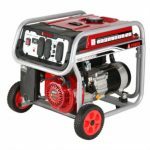 But before making a choice and buying any model or make of a generator, there are many things you ought to consider. To start with, consider the reasons why you need a generator in your house. Maybe you come from a city where power outages are a norm in which case you need a very powerful generator. 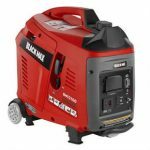 However, if all you need is a small generator that can power your kitchen for several hours before power comes back, then the following review might be helpful to you. The Yamaha EF2000iS review shows that it is very efficient for low power requirements; it is small in size and very energy efficient. Read below to learn more about it and what it offers. The generator’s 4 stroke 79 cc OHV engine is very efficient and high in quality. By utilizing both the energy capability and a cast iron cylinder, it powers refrigerator or your camp lighting system very efficiently while at the same time achieving a high energy dissipation rate not common with smaller inverter engines. The engine runs on 1600 watts and a total of 2000 watts. Since it also has a patented pulse width modulation control, its power is very clean and pure. In fact, the power it produces is efficient for even the most sensitive electronic equipment like TVs and air conditioners. 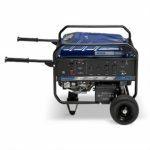 With only a 1.1 gallon gas tank, the Yamaha EF2000is portable generator is capable of running up to 10 hours while powering a big refrigerator with a load less than 25%. The machine takes in unleaded gas, and when you consider its running time capability under such low fuel amounts; then this is a generator worth its cost. Besides, its start type is so efficient. Only a single pull and the generator go on. It is not complicated in any way like some of its competitors. Many Yamaha EF2000iS reviews highlight the cutting edge muffler technology used to make this machine a low noise generator as a big advantage. The system results in a noise level of 51.1 dB to 61 dB, which is very low in fact. Most people can’t tell there is a generator around them unless they go very close to it. It is thus a great generator for camping or for outdoor events that requires minimal noise. The size and weight of the Yamaha EF2000is puts it apart from all its competitors. Compact as it is, the gas generator weighs only 44 pounds and occupies around 2.2 cubic foot. In specific, it measures 19.3 inches long, 11 inches wide and 17.9 inches in height. The generator is also very comfortable to carry around and can fit in most car trunks. This is yet another big benefit from this Yamaha generator. An economy control switch helps regulate the engine speed as per the connected load. This means that energy is used depending on how the electronic device being powered requires it. The results are a more efficient fuel consumption method and less noise. 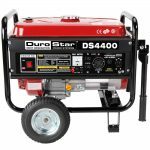 Usually, generators produce more noise depending on the size of the load being powered, but if the system is as efficient as in this generator, then your kitchen or camp remains quiet throughout the time the generator is on. Remember however that you shouldn’t put this switch on when powering equipment that requires higher starting watt requirements. Inverter generators (our inverter generator reviews here) require oil to run efficiently. The Yamaha EF2000is portable generator uses about .42 US quarts of oil, but the good part is that you will always know when you need to add more oil with its oil monitoring system. Always ensure that you add then oil before it is too low because a lack of it could lead to massive damages to your machine. Some other notable features of this generator include a fuel gauge, a gasoline petcock, a spark arrestor, parallel function which allows double power production when two similar generators are used together an automatic throttle adjustment. The 3 year warranty is also a conspicuous feature, which guarantees durability in the long run. In many Yamaha EF2000is reviews, the machine receives a considerable amount of positive remarks. It deserves the remarks in any case, and the following are but some of them. It is fuel efficient. There is no doubt about this. Its ability to regulate energy consumption and to produce clean power makes it one of the most energy efficient small power generators. It produces low noise. Everyone wants a quiet machine around them, and this a perfect example of a cheap low noise generator. It can be used on tandem for more power. Its twin tech capability adds it ratings a lot. It automatically warms up to quickly power your equipment even during cold weather conditions. Light in weight and portable. The generator is a machine you can carry around easily and use it whenever you need it. Dos not come with oil and also lacks an oil drain plug. It is difficult to replace its 12v charging plug. 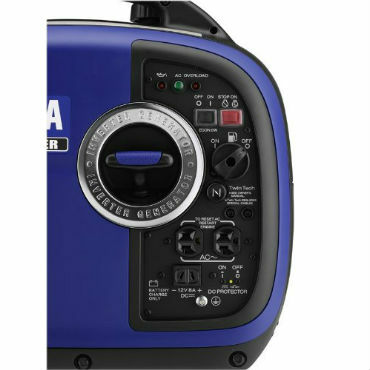 The Yamaha EF2000is generator has very positive reviews in many sites. It is efficient and reliable for all your small power requirements. It is a great machine for people who love camping, for anyone planning a small outdoor event or for small power needs. 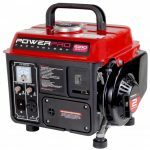 It is however not a great emergency generator, but very recommendable if all you need is a good portable generator that can help you out when camping. 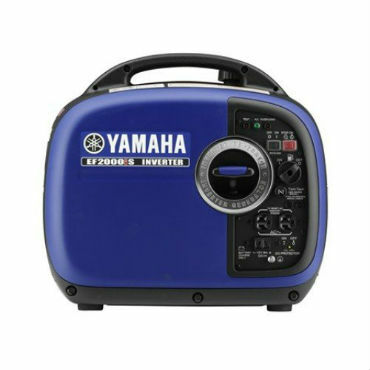 Finally, in most Yamaha EF2000is reviews you will find the users saying that the generator offers a great value for your money if you can afford its relatively high price.